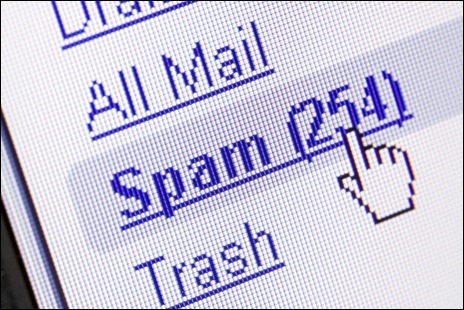 Some big changes are coming this July with respect to Canada’s anti-spam laws. The new CASL legislation takes effect July 1, 2014. Basically this new law completely rewrites the book on Spam and how for-profit and non-profit companies can broadcast their information to their clients. It will not have any effect on the spam you receive from outside of Canada (which is where well over 90% of all spam originates from), but it will impact how local business is conducted in this country, from client mailing lists to newsletters. The big change is that you can no longer opt into a mailing list or email list by default. You must not only have clear methods for your subscriber list to “unsubscribe” but each subscriber to your lists must make a concrete action to subscribe in the first place. The good news is registered charities are exempt from some of the most stringent rules being applied to the for-profit businesses. Clearly your local charities would be in dire straights if it were suddenly illegal for them to ask for donations. 1. Does the law apply to registered charities?Yes, CASL and its regulations apply to registered charities. However, a number of measures have been put in place to mitigate its effects on registered charities. fun runs and similar events. organizations, such as arts groups and cultural institutions, promoting ticket sales for upcoming events. This is not to imply that all commercial activities carried out by charities will be exempt, but if the commercial activity is undertaken to carry out the charity’s mission, and the funds go directly to the charity to support its work, then it likely falls under the exemption. The “primary purpose” provision means that, if the bulk of the message concerns exempt activities (such as seeking donations or selling tickets to an upcoming event), a registered charity could also include some information about non-exempt activities. 5. What can we do to make sure we don’t do anything wrong?Exempt messages do not have to include an unsubscribe mechanism, but such a mechanism should be included nonetheless. It is good practice, and it also demonstrates due diligence on the charity’s part. Charities should also, particularly if sending messages about activities that do not fall within the CRA fundraising definition, include their charitable registration number in their identifying information. This will make it clear to recipients that the message is from a registered charity, and that funds raised are for the benefit of the registered charity. We can still inform our communities about upcoming charitable fundraising events for registered non-profit charities.